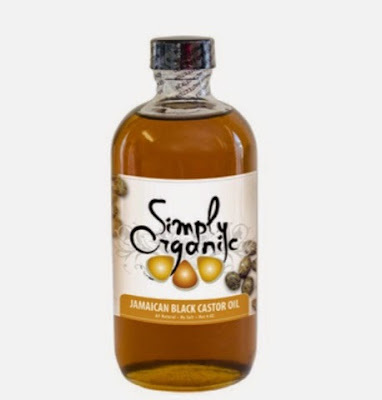 What do you think about when you hear or see the words "Castor Oil"?? If your anything like me you think of castor oil as a way to induce labor, but it is so much more than that especially organic Castor Oil. Let me start by telling you the about the history of Castor Oil. The castor oil plant (Ricinus communis) is a type of flowering plant in the spurge family, Euphorbiaceae. It belongs to a monotypic genus, Ricinus, and subtribe, Ricininae. The evolution of castor and its relation to other species are currently being studied using modern genetic tools. It reproduces with a mixed pollination system which favor selfing by geitonogamy but at the same time can be an out-crosser by anemophily or entomophily. Castor seed is the source of castor oil, which has a wide variety of uses. The seeds contain between 40% and 60% oil that is rich in triglycerides, mainly ricinolein. The seed also contains ricin, a water soluble toxin, which is also present in lower concentrations throughout the plant. Buy your Organic Castor Oil TODAY! !